There are no such parents out there now who don’t have an idea about baby car seats. This amazing and convenient product for babies came into existence in 1930s. Although, at that time, there was no emphasis on safety. It was just for the convenience of parents. Next, it took around 30 some years before car seats were legally considered as possible safety devices. Finally, in 1962, Briton Jean Ames and Len Rivkin designed a rear facing seat which featured a Y-strap and a seat of metal framing in which a child can be buckled respectively. How are baby car seats made? The manufacturing process of car seats for babies is not something new. It is a pretty old process when the Bunny Bear Company started making several designs to keep the child above the level of the passenger seat. The shell is molded, plastic pellets are melted and injection-molded into forms for making the shell. The various parts are made by different outside suppliers. The padded cover is then placed on the shell and fixed while securing the buckle assembly to the shell. The harness is further threaded through the buckle, adjuster, and harness retainer. Thereafter, the labels are secured on the safety seat and instructions remain packed in the storage compartment. All-in-one car seats are on high demand nowadays. People are desperately buying them their children. With a myriad of astounding features, it makes an extremely convenient option for babies. Perhaps the most important benefit of opting for an all-in-one car seat is that it has higher weight ratings. This rating is meaningful for both rear and front facing positions. How to Install a Baby Car Seat? Go for the right model as per your requirements. Check out the ratings to figure out the quality of the same. Read the manual to understand the intricacies. Now, separate the carrier from the base. In every type of baby car seat, there are two parts: base and infant car. Firstly, you’ve to install the base, the part which remains in the car. Next, it comes to the carrier. There’s actually a lever or button to active the parts. Thereafter, you can fix the base to the back seat of your car. You’ve just have to alternatively thread the seat belt through the base. You can now pop the infant carrier into the base in such a way that the child faces the rear. At this stage, it is required for you to check the base angle. Now let your baby enjoy a ride in his/her baby car seat. Well, this is not the only approach to install a baby car seat. There are many other ways that you can opt for. 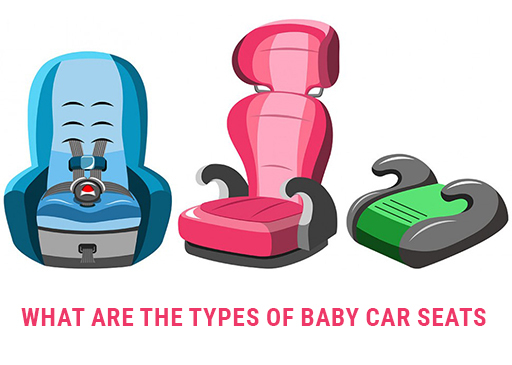 What are the types of baby car seats? As the name says, an infant car seat is for infants which is usually used for inborn babies until he/she is 2 years old. This kind of car seat can be used for babies within the age-range of six to twenty-four months. However, babies can easily outgrow the infant car seat faster than others. So, once your child reaches the maximum weight and height limit of the seat, it’s time to switch to another type. This sort of car seat can be used from birth until the time when your child totally outgrows a car seat. The convertible car seats can be of two types- forward-facing and rear-facing positions depending up on the weight of your child. In case of rear-facing car seats, the weight of children can vary from 35 pounds to 40 pounds and 50 pounds. When it comes to the height limit, there must be at least a room for 1 inch in between the top of the child’s head and top of the car seat. The rear-facing seats are actually made for children up to the age of 2 years. On the other hand, the forward-facing car seat has the height and weight limit of 35 pound and 4 feet, 9 inches in height. in-1 seats are actually pretty similar to convertible car seats. The biggest advantage of this seat is that you can buy a single one for all the purposes. Further, it will even grow your child from rear-facing to forward-facing. So, for a great package of convenience, 3-in-1 baby car seat is best. Booster car seats are such seats which can be used for older children which are in the age range of 4 to 6 years. This kind of child seats are designed in such a way that the 4 to 6 year olds can fit very well in the embrace of the seat belt. Why should you choose a booster car seat? Your child might no longer be in the age-range of toddler car seat, he/she might not be enough matured to sit in the adult seat. Hence, booster seats are for this kind of situation. Booster seat can lift the kid to let the seat belt settle firmly across the body. It provides the same kind of stability and protection as seat belts help the adults in case, there is any collision. The Department of Transport has been notified about the new rules for manufacturers of backless booster seats. The rule has been applied from 9th Feb, 2017. According to the new rules, manufacturers are not supposed to introduce any new model of backless booster seats for children who are shorter than 125 cm and weighing less than 22 kg. 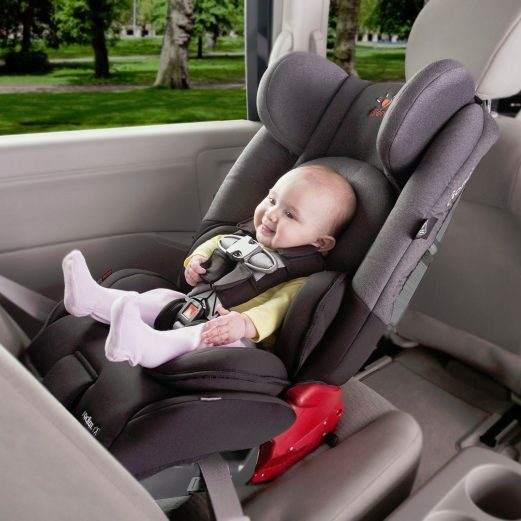 What is the age-range and stages of baby car seat? If you are going to buy a baby car seat for your little one, it’s necessary to remain updated with this basic information. For your information, all the children out there whose weight and height are more than the limit for forward-facing car seat must go for a belt-positioning booster seat until the seat belt of the vehicle fits properly. Probably, when your kid have reached the height of 4 feet and 9 inches in height within the age-group of eight to twelve years. Moreover, the children who have already reached the maximum weight capacity of the car seat when they are 2 years or less, they should go for a rear-facing car seat. When it comes to forward-facing car seat, it can be used until your child weighs within the range of 40 to 60 pounds. Which car seat is used after the infant stage? If your child have already passed the infant age, it’s time to opt for a rear-facing convertible seat for your baby. This kind of seat is really convenient for such children who weigh just 5 pounds or less than that. Thus, if your baby has outgrown, buy this car seat for him/her. The harness system of such car seats is having a higher rear-facing weight limit. What can be the best baby car seat for newborns? Graco Comfy Cruiser Click Connect Travel System. Maxi-Cosi Mico 30 Infant Car Seat. Britax B-Safe Infant Car Seat. Britax Chaperone Infant Car Seat. Combi Coccoro Convertible car seat etc. There used to be no other option other than booster seats for older children till a few years ago. Howbeit, according to the 2013 Australian Standard revision, a new type of car seat came into existence which is known as Type G car seat. This kind of car seat uses an in-built 6 point harness to the larger size of children who are more than 8 years old. When you are looking for buying a car seat or booster seat for your older kid, you should know the differences between booster and car seat. They are designed in such a smart way that they can easily provide side impact protection. However, the primary function of such seats is to rightly place the vehicle seat belt to safely restrain the child. Precisely, this vehicle seat belt can be actually considered as a restraining device. Car seat is nothing but the child restraint which is used within the in-built model. They are designed in such a way that it acts as a primary restraining device which comes with a feature shoulder, waist and crotch straps and so on. If you just take a simple glance over, carry cot and car seat will look same but they are generally constructed with the intended purpose in the mind. It is a small portable bed for babies who are only 6 months old. It often remains attached to the baby’s stroller. The main objective of carrycot is to offer a cozy and safe add-on to your stroller. On the other hand, an infant car seat is designed in such a way that it has energy-absorbing foams inside to protect your bay during any accident. How does an infant car seat differ from convertible car seat? Interestingly, a convertible seat grows with your child. You can use it in the rear facing form until the weight limit is not crossed. When it comes to the forward facing one, you can use it up to the desired limit. Convertible car seats are usable from birth to the time when the kid becomes 50 inches tall. However, an infant car seat comes with only rear facing mode. You can attach it to the travel system and use the same as per your wish. This sort of car seat is used for babies up to 30 pounds of weight. This seat is basically optimized for newborns. Which one is better: Baby capsule vs car seat? Baby capsule and a baby car seat are both a couple of innovative products used for a comfortable and safe transportation of kids. Whether to choose either of the one is totally dependent on the parent’s choice. It also depends up to a great extent on prior experience and lifestyle. When it comes to baby capsule, the prominent benefits include a prominent snug surrounding and fit your baby. On the other hand, the disadvantages of baby capsule are age and weight limits as they are basically made for babies up to the age of six months but are often outgrown before that time. On the other hand, a car seat can be customized for different ages of babies starting from six months to four years and six years. The removable padding and adjustable properties of a car seat allow a rapid growth. Finally, it’s all about parents should decide on which one will be better for his/her baby. Which accessories can you use with a baby car seat? To have an overall protection of your kid can’t be done with just a car seat’s canopy. For that, you need an effective cover. You should get a breathable and lightweight car seat cover which can help your baby to remain protected all the time. If you’ve not bought one yet, give a safe environment to your child with such a seat cover now. This kind of mirror can let you check the rear-facing child sitting behind clearly. It has a few attractive features like no-installation, no-shake etc. There are many particular brands around the world which sell such products with lifetime guarantee. You can delight and keep your little passenger happy while keeping him/her busy with some hanging toys on the handle of the baby car seat. You can improve the motor skills and visual tracking of your baby with such accompanying toys. If you are such a parent who needs to travel through air with the convertible car seat, this accessory is definitely a must-buy. The premium quality models like Brica Car Seat Transporter will let your child ride on the car seat much conveniently. Which technologies are used in a baby car seat? Although there are many superb technologies used in making car seats nowadays, a few of them are simply excellent! Among them, one of the foremost ones is the self-installing car seat. According to this technology, a rear-facing-only infant child car seat features a self-installing technology through which the seat gets automatically tensioned and leveled once it is attached to the vehicle using a latch. Another commendable and new baby car technology is the five-point harness. It is considered as the most secured framework for infants. If you’ve such a car seat for your baby with a sheltered harness, it will obviously save your child firmly. Apart from the aforementioned ones, there are many other baby cart technologies which are worth an applause. If you want to buy an infant car seat but don’t want to spend huge, you can go for a travel system. It is a baby car seat and stroller together which are sold for a discount. If you are ready to afford a premium quality car seat, you should look for some exceptional additional features. For example, there should be an anti-rebound bar present at the foot of the seat which limits the amount of movement if there is a crash. The other features which you should consider seem to be cushier fabric, little boot around baby’s feet and so on. Just make sure that you are choosing the right car seat for your baby as per his/her weight, height and age. You need to identify the amount of space that you’ve in the back seat. A seat with a large base is not at all suitable for a small car. You are suggested to opt one with a narrower base instead. Look for the clear instructions in the back of the car seat to make the installation process easy. You are recommended to choose one which explains installation with a diagram and text both. You need to check the belt path. Just ensure that it is easily and conveniently accessed. Also, the seat belt is properly fastened and secured. All the safe baby cars eats harness adjust. All that you need to make sure that the adjustments can be reached easily and are very simple to use. If there is an improper harness adjustment, it makes the seat far less effective when there is a crash. How can car seats protect your child? Of course, car seat has been manufactured for the purpose of baby’s safety. So, it actually protects your child. However, how a car seat protect your child is quite interesting. When you will buy a car seat, the installation manual will be attached with it. You need to follow that specifically and get the installation done. Also, apart from the installation story, when you use a car seat while riding with your baby, the right fit and proper size of your child should be kept in mind. As your child grows, the alteration of the car seat from rear facing to a forward facing position saves the child from any accident. Further, when you put the car seat in the right spot, it further protects your child. So, the degree to which a car seat is expected to protect your baby depends on how it has been installed and used. Overall, when it is used in the right way for the right purpose, a premium quality car seat can definitely protect your child. Where should you place a baby car seat in your car? According to an effective study published in Pediatrics, it shows that for children who are in the age-range of new born to 3 years should sit in the centre rear seat. It seems to be 43% safer than sitting on the side or back. Moreover, the safest way to deal with a car seat is to place that in the backseat. It should be placed right at the middle spot which is away from the passenger-side air bags. If your car can’t accommodate a car side that way, you can keep the seat on the either side of the backseat. Can your baby sit in the car’s front seat? Yes, of course! Although it is recommended that children should always travel in the rear end of the car, you can even put the baby car seat in the front. In that case, all that you need to arrange is an air bag. You need to keep one thing in mind while going for such an arrangement and that is the car seat is situated as far back as possible. Also, you should take care of the fact that the child seat is securely held in such a way that it maximizes the distance between your kid and the airbag. Why is rear facing car seat safe? Rear facing car seats are safe for your baby because they support the head, neck, and spine of your darling firmly. Actually, a rear facing seat is designed in such a way that it distributes the cash forces across the shell of the entire car seat. In fact, it is a proven fact that there is a five times less probability of children who are two years old to die or get injured if they travel in a rear facing car seat. Hence, if your baby is of two years only or less than that, go for a rear facing car seat for him/her. What are the laws and guidelines of using a baby car seat? According to the law, all children of the country who are less than 7 years should be restrained while travelling by car in the roads of Australia. The rules are dynamic enough and they vary according to the age of the child. For example, for 0-6 months old babies, an approved rearward-facing child seat is much needed. This also takes the infant capsules or specially designed car seats into consideration. Next, comes the children who are 6 months to 4 years old. For them, you’ve to consider either a rearward or forward facing child restraint. Also, you must ensure that the child is sitting in the rear of the vehicle. For the kids who fall under the category of 4 years to 7 years, you should opt for a forward-facing child restraint. Also, there is another option for you to choose a booster seat which is having a seat belt or a safety harness is required. It should be kept in mind that up to the age of 7, your kid should be allowed to sit only in the rear of the vehicle. In case, all the rear seats have been already taken by the children who are younger than your seven years old, you can allow him/her to sit in the front. This post really justifies the title “Know Everything About Baby Car Seats”. I was gathering the information about car seat and suddenly I was stumbling upon the post and such an amazing research! I hope you will get the best car seat after reading this post. A must-read piece, who is looking for the best car seat this year. Post cover all the guidelines for installation and laws. It is always a pleasure reading your article. Thanks for sharing this post and one of the best piece on the ‘Baby Car Seats’. Keep it up! looking for the more from your side. Kudos! you have tried to cover everything in one piece and you did a really wonderful job. Looking forward to receiving more from you. I always prefer rear-facing car seats because it provides greater protection for the baby’s head. thanks for sharing! An amazing post on “Baby Car Seats”! Looking for some amazing post from you. Delighted that you have shared everything about the baby car seats and It’s wondrous. Gratitude for including the each and every point about the baby car seat. Your post is really engaging and I have enjoyed. you have covered the so many numbers of things in your post. 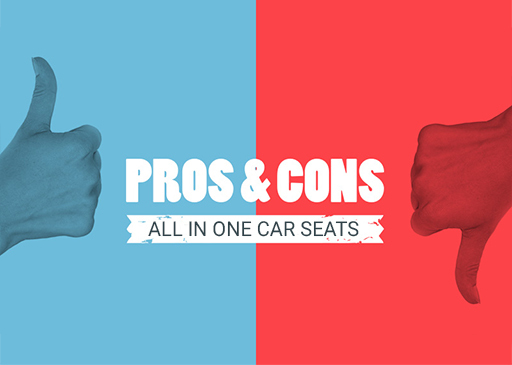 I just love the part “pros and cons of car seats” and you have written amazingly. Installation part is so tough but thanks for making it easy. Thanks for sharing your thoughts on Baby Car Seats! After a long long time, I have read this type of amazing article and it kept me excited throughout the piece. After reading your post, I can say that I know everything about baby car seats. Thanks for sharing! very helpful article! and I appreciate that you have covered laws and guidelines. When It comes to a car seat, I always prefer a convertible car seat, in addition, It is so reliable and affordable. This is such an amazing piece on Baby Car Seats! Thanks for giving your ideas on a baby car seat and your post is really awesome. Eagerly waiting for the next post! The amazing post regarding the baby car seats. I get all the information at one place only. From last few days it is difficult to decide that which type of baby car seat should I buy for my kid but your post clear all the things in my mind. Thank You so much and looking for more information. Your research is really good and I like to buy a convertible car seat that works for a long time and also protect baby and thanks for remembering all the laws in such a short way. Thanks for sharing such useful information. After reading your article I visit many websites and look for the many baby car seats, and buy a perfect one. Your research is really good about the materials and creation of baby car seat and there is a feature where new baby car seats also came with the airbags for the security of kids. It is really nice that you mention about the laws and guidelines, but there are different laws at every place and parents should take care of that while buying any baby car seat. Well, is it possible that I buy a single baby car seat and it works for a few years as my kid grows older or should I change every year? I was wondering if you could tell me the name of the crib in the Convertible Baby Crib section. While buying a baby car seat it is really important to know about the basic and latest information because every year owners release the latest version of baby car seats with new features so it is important to get updated about everything so it won’t be tough decision while purchasing from the store.